Commemorate your anniversary or wedding with this beautiful plaque. 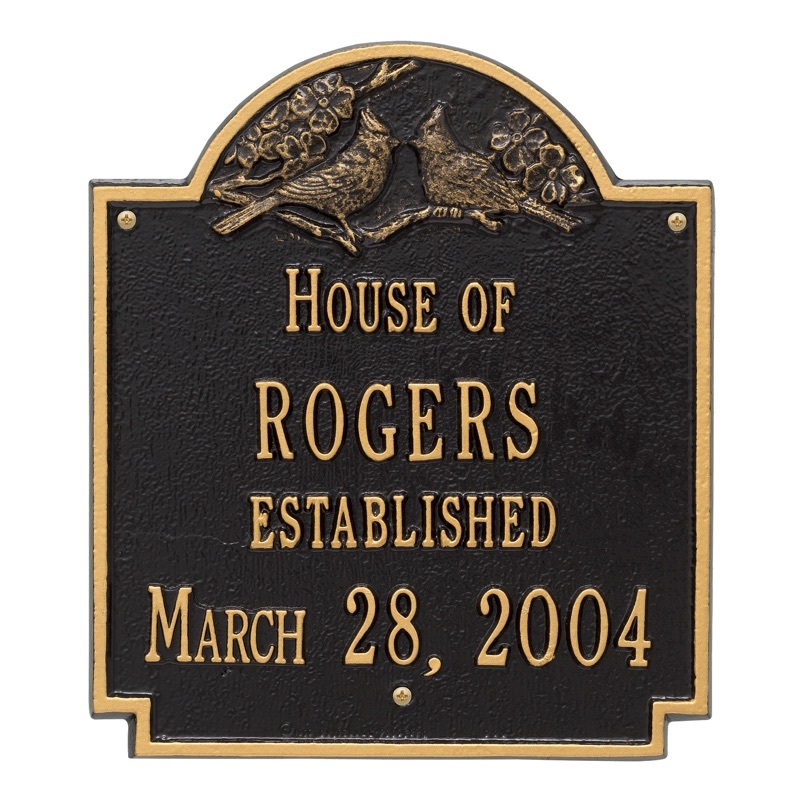 The Cardinal Anniversary plaque, or Wedding Plaque, has a line for your family name and an established date. At the top of the plaque is a beautifully detailed rendition of twin cardinals. This plaque offers a personal touch to a home and is great as an anniversary gift or gift for the newly wedded couple. 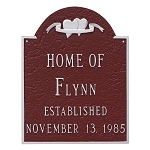 Home of and Established are pre-printed on the plaque and cannot be removed. NAME: The family name on the Anniversary plaque holds up to twelve 1.25" characters. I have one and love it. We gave one to our niece at her wedding and it was just as beautiful. Beautiful! We absolutely love it. gifted this 3 times for weddings. Great for this. I didn't realize that the birds were raised above the plaque. 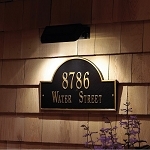 Very nice plaque with perfect detailing. We're going to order more of these for custom wedding gifts.